Sure, once upon a time, Justin Timberlake and Britney Spears may have worn matching denim outfits out on the town. And he may have hooked up with a Spice Girl back in the day (just a little tidbit revealed on The Ellen DeGeneres Show during a raucous game of Never Have I Ever with all the other former members of ‘NSYNC). But these days, JT’s nighttime hijinks are strictly limited to cleaning up toddler pee — and we have never loved him more. 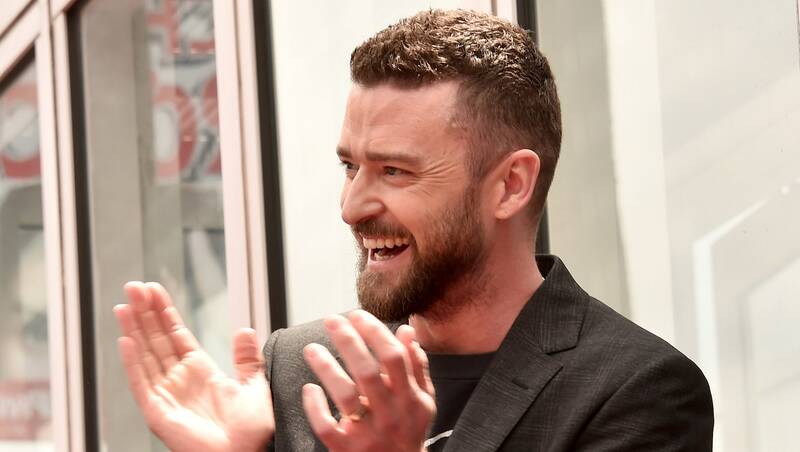 Timberlake told DeGeneres about life on his Man of the Woods Tour, an experience he’s sharing with wife Jessica Biel and 3-year-old son Silas Randall. Timberlake explained to DeGeneres that recently, after he crawled into bed around 2 a.m., he was visited by Silas, who wanted to give his dad a hug. But Timberlake was unfazed by the soggy wakeup call. “Anybody who’s a parent out there knows that it’s like you’ve never been more excited to be peed on,” he quipped. In March, Timberlake posted an adorable picture of the whole family of three at an airport embarking on his Man of the Woods Tour. “Goin’ on tour. #MOTWTOUR,” he captioned the Instagram post. Fun fact: “‘Silas,’ in case you didn’t know, means “man of the woods.” Adorable. We loved Timberlake in his double-denim days, but we have to say, fatherhood looks good on this guy — pee-stained pj’s and all.